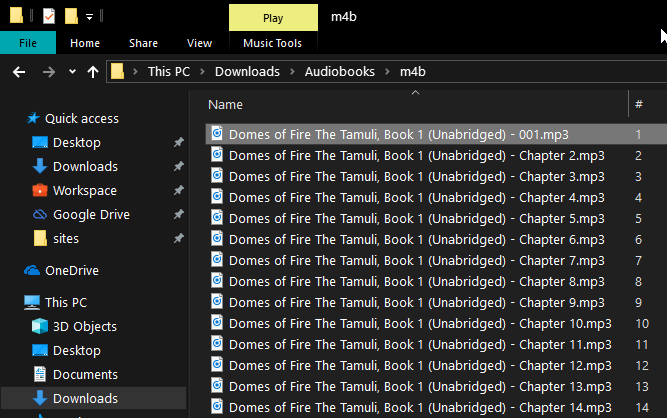 M4B file format is usually used for audiobooks. Generally, it is used by iTunes to store audiobooks. The best part of M4B is that the file format can store bookmarks and chapters. However, some apps may not support M4B playback. In those situations, you can easily convert M4B to MP3. There are many different ways to do it. 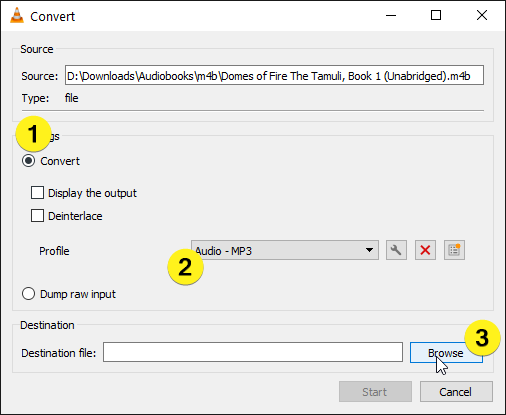 Here's I'm sharing some of the best ways to convert M4B files to MP3 in Windows 10. Follow the one you like. The VLC media player is one of the most popular media players out there. It can play almost any media format you throw at it. In fact, you can record screen with VLC. Additionally, VLC media player has a built-in converter in it. 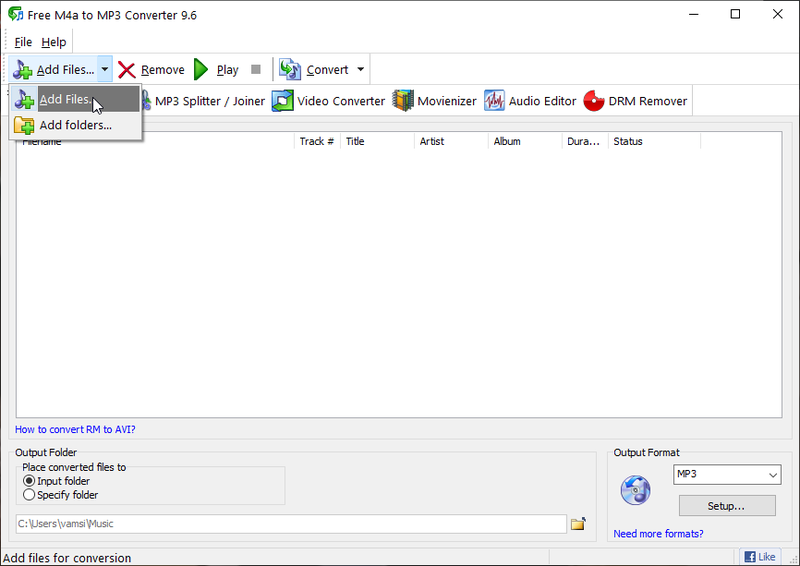 You can use this built-in converter to convert media files from one format to other. Which simply means that you can use VLC media player to convert M4B file to MP3 file. Since a majority of Windows users already install VLC to play media files, you don't have to install another software just to convert m4b to mp3. Keep in mind that this method will not preserve chapters. Open VLC media player by searching for it in the start menu. In the navigation menu, go to "Media -> Convert / Save" option. You can also use the keyboard shortcut Ctrl + R.
Under the File tab, click on the "Add" button. Browse to the folder where the M4B file is stored, select it and click on the "Open" button. In the convert window, click on the "Convert" option from the drop-down menu "Convert / Save". Now, select the radio option "Convert" and select "Audio – MP3" from the drop-down menu next to Profile. Next, click on the "Browse" button to choose the destination to save the converted file. Go to the folder where you want to save the converted file, name the file and click on the "Save" button. 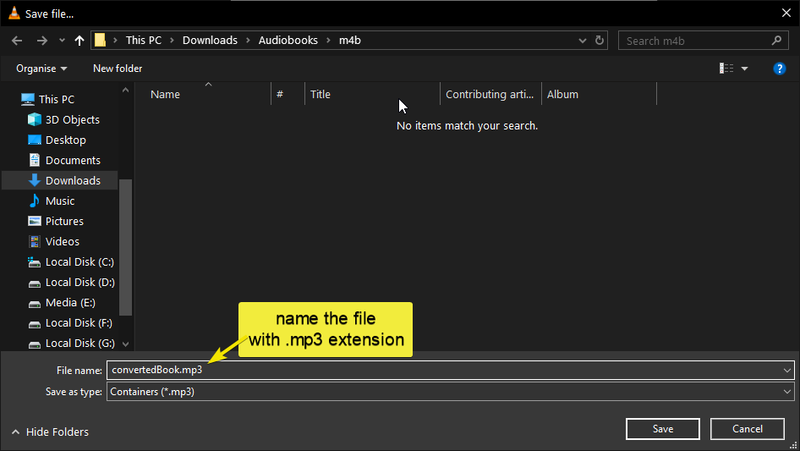 Don't forget to add .mp3 extension to file name. 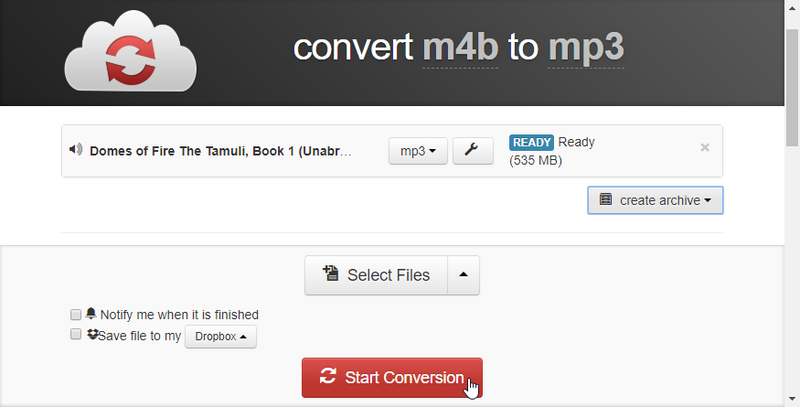 In the convert window, click on the "Start" button to start the m4b to mp3 conversion process. Depending on how long the play time of the m4b file is, it can take some time to convert m4b file to mp3. For instance, the audiobook I'm trying to convert is around 20 hours long. It took about 15 minutes to complete the conversion process. While VLC is converting the file, you can see then progress in the media seek bar. FFmpeg is one of the favorite software. You can do so much with FFmpeg software including converting files from m4b to mp3 in Windows. 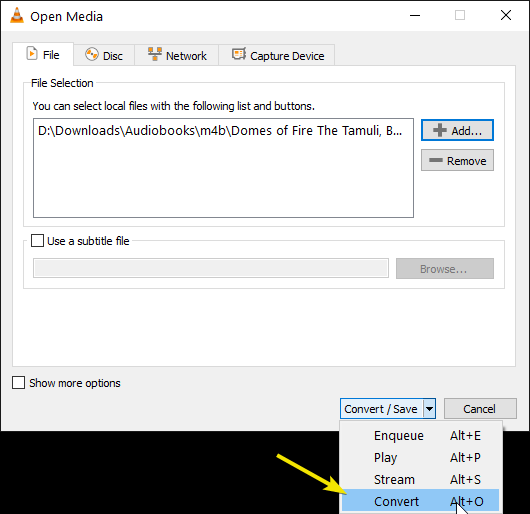 Follow the steps below to convert m4b files to mp3 using FFmpeg. Install FFmpeg and add it to Windows path if you haven't already. Now, open the folder where you've stored the m4b file. 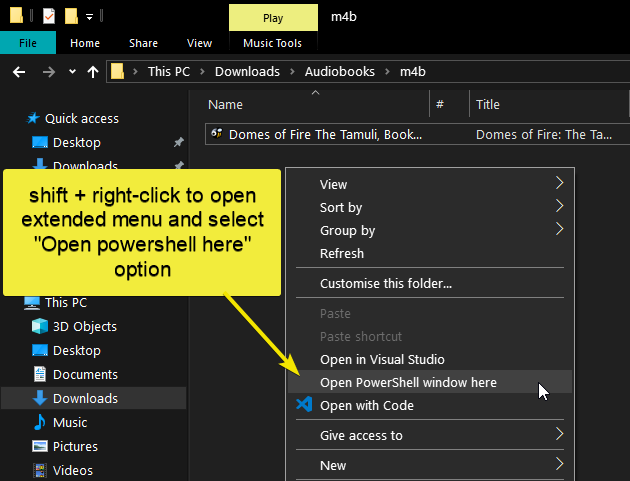 Shift + Right-click and select "Open PowerShell here" option. Windows 7 and 8 users can select "Open command prompt here" option. In the PowerShell window, copy the below command, paste it in and press Enter. Don't forget to replace the input.mp4 file with the actual m4b file path and output.mp3 file with the actual mp3 destination. ffmpeg -i "C:\path\to\input.m4b" -acodec libmp3lame -ar 22050 "C:\path\to\output.mp3"
Just like with VLC media, depending on the file, the conversion process will take some time. So, sit back and wait until the process is complete and you will have your converted mp3 file. When needed you can split MP3 with FFmpeg. 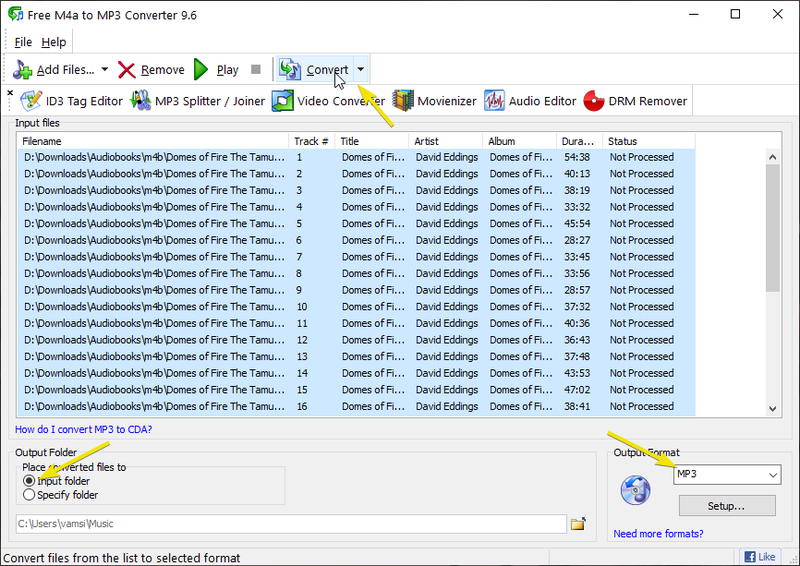 If you have a lot of m4b files then using a dedicated converter is pretty handy. That is where Maniac Tools Free m4a to mp3 converter into play. Though the software says m4a, it is perfectly capable of converting m4b to mp3. What's more, the software can preserve chapters. i.e. 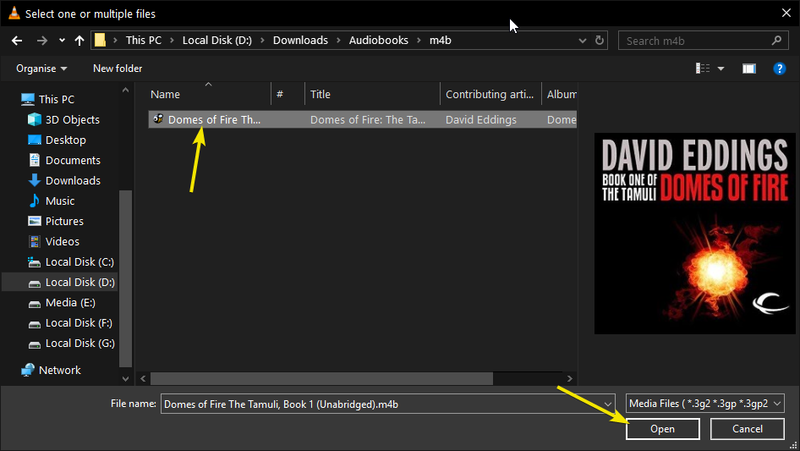 it automatically converts and splits mp3 files into chapters. Download the software and install it like any other Windows application. 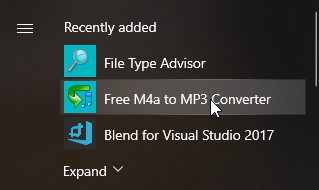 Search for Free M4A to MP3 converter in the start menu and open it. In the program window, select "Add Files". If you have multiple m4b files in a folder, select "Add Files -> Add Folder". Browse to the folder of your choice, select the m4b file and click on the "Open" button. If the added m4b file has chapters in it, the software will ask if you want to split the file into chapters. Click on the "Yes" button to split the file into chapters. Now, select all the files using Ctrl + A, select output folder as "Input Folder", select output format as "MP3" and click on the "Convert" button. As soon as you click on the start button, the software starts the conversion process and saves the converted files in the same folder as the source m4b file. The conversion process will take some time depending on the file size and play time. Sit back and wait till the process is complete. Once done you will see the converted files in the same folder as the source m4b file. If the above methods didn't work for some reason or if you don't want to install any software to convert m4b files to mp3 then you can one an online converter. Keep in mind that almost every online converter will have a file size limitation. Which simply means that if your M4B file is too large, you may not be able to convert it using an online converter. Go to this website https://cloudconvert.com/m4b-to-mp3 and simply drag and drop the m4b files. Next click on the "Start Conversion" button. Cloud Converter only supports 1GB file on their free tier. As soon as you do that, the file will be uploaded and cloud converter will start the conversion process. Once done, you can download the file by clicking on the "Download" button. Compared to the above three methods, the online conversion process may take even more time considering the upload, conversion, and download time. All the methods shared above work really great. 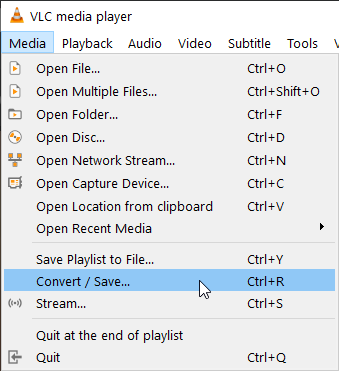 If you have the VLC media player installed and don't mind the lose of chapter data, use the VLC media player. Want more control and don't mind command line then use FFmpeg. 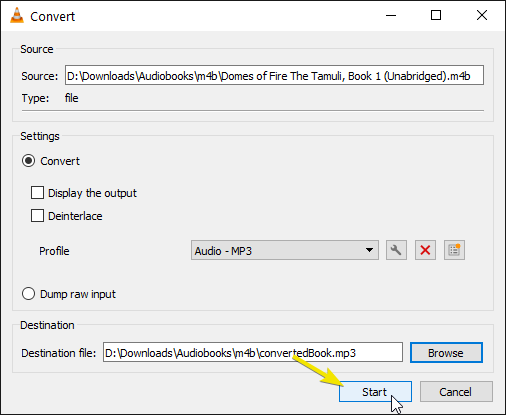 If you want to preserve chapters in M4B files then use Free M4B to MP3 converter. Finally, if you don't want to install any software or if your need is temporary then use the online converter. Hope that helps. Comment below sharing your thoughts and experiences about using the above methods to convert M4B files to MP3.